The Holmul archaeological zone lies in one of the most intact sections of forest in the Maya Biosphere Reserve, teaming with exotic wildlife. The top of Holmul’s largest pyramid can be seen from a great distance as one approaches the site from the air. Further afield are the tops of Cival’s Preclassic pyramids. 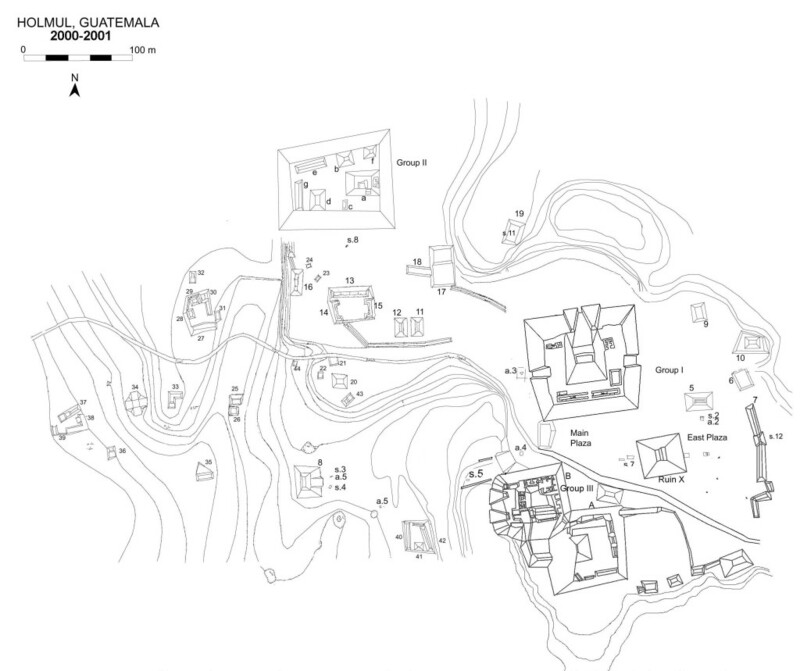 Holmul has three major architectural complexes, Groups I, II, and III, a Preclassic E-Group plaza (East Plaza), a ball-court and 26 plain stelae monument. 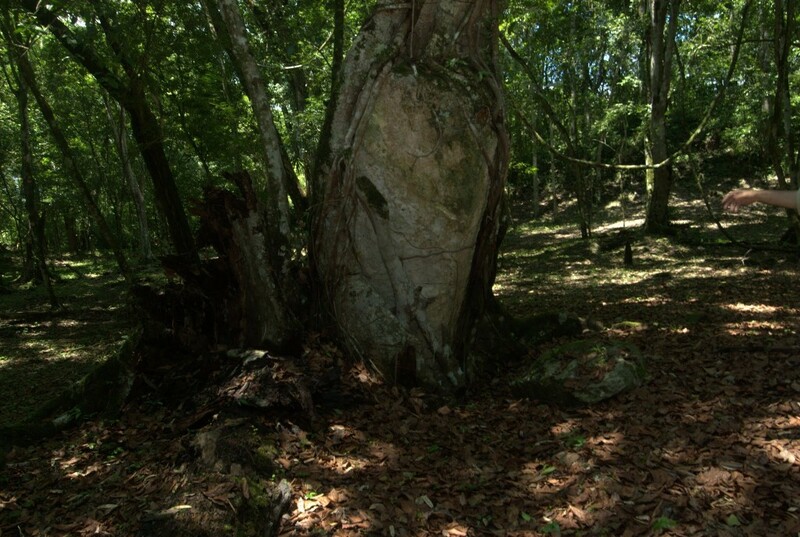 Four addditional carved monuments are located in the La Sufricaya complex 1 km west of Holmul. 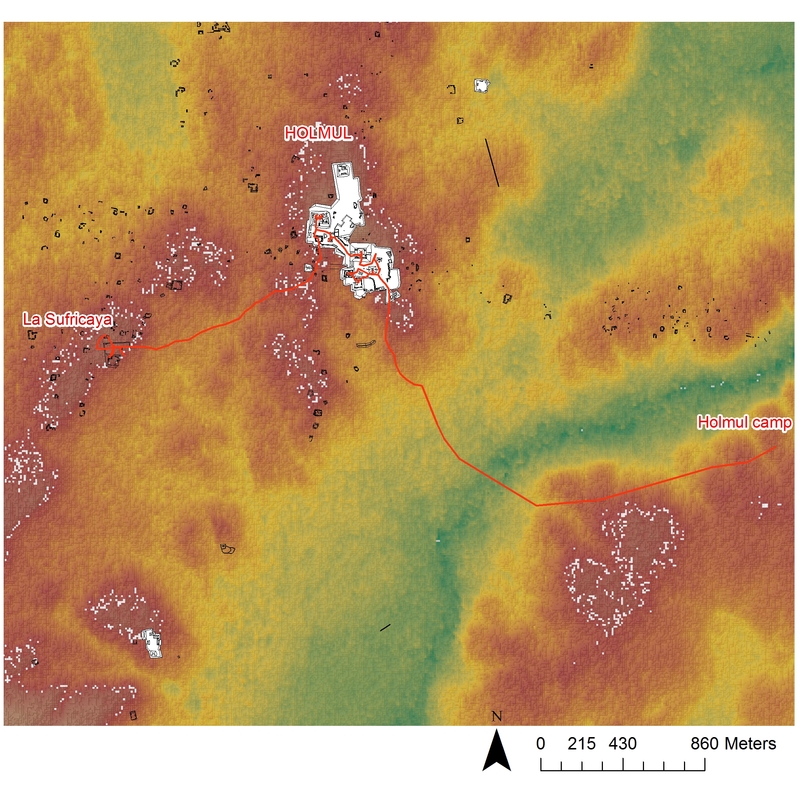 Much of the bulk of the major architecture hides buried Preclassic and Early Classic buildings within. Group I is the largest. 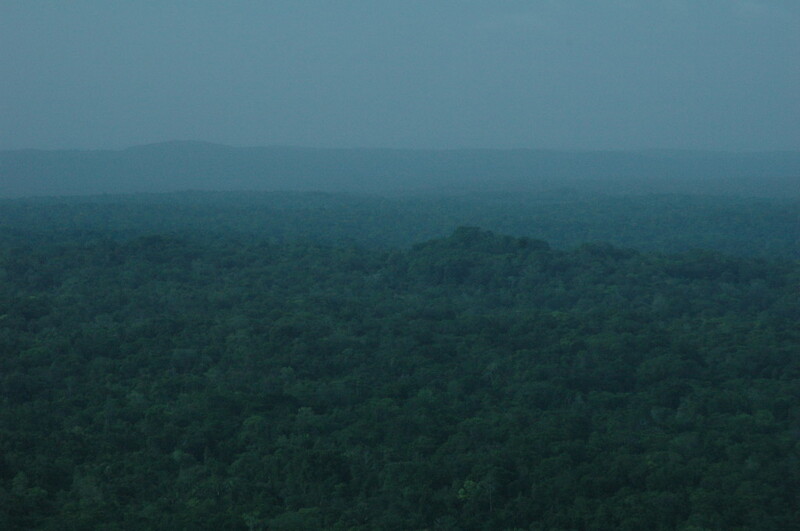 From its summit you can get a great view of the surrounding forest. On the intermediate platform there are a number of interesting buildings with intact vaults. The East Plaza (on the right side of the main trail) was built originally in the Late Preclassic as a solar ritual complex (E-Group). Ruin X is the pyramid at the west end of it, facing a long structure on the east. A Terminal Classic period stela still stands in its center, completely enveloped in a strangler tree. 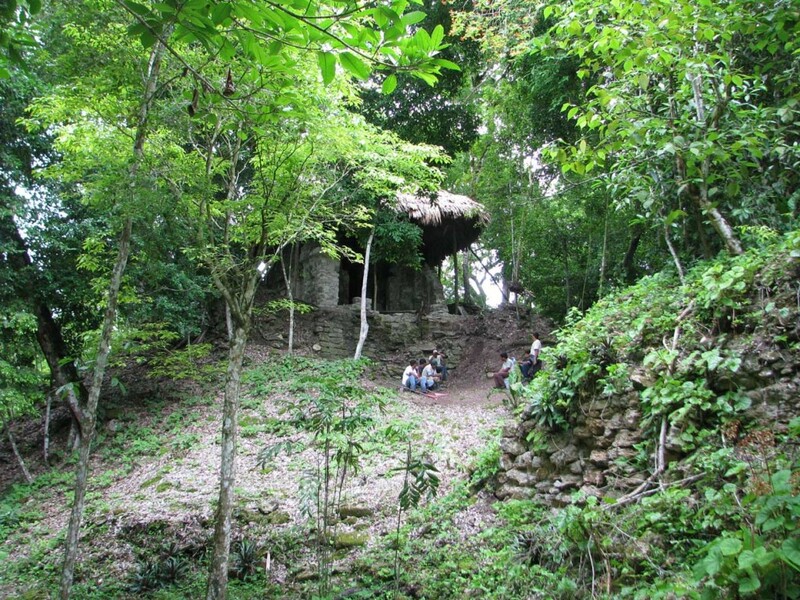 Group II houses two of the most remarkable and oldest buildings at Holmul, Building B and Building A. 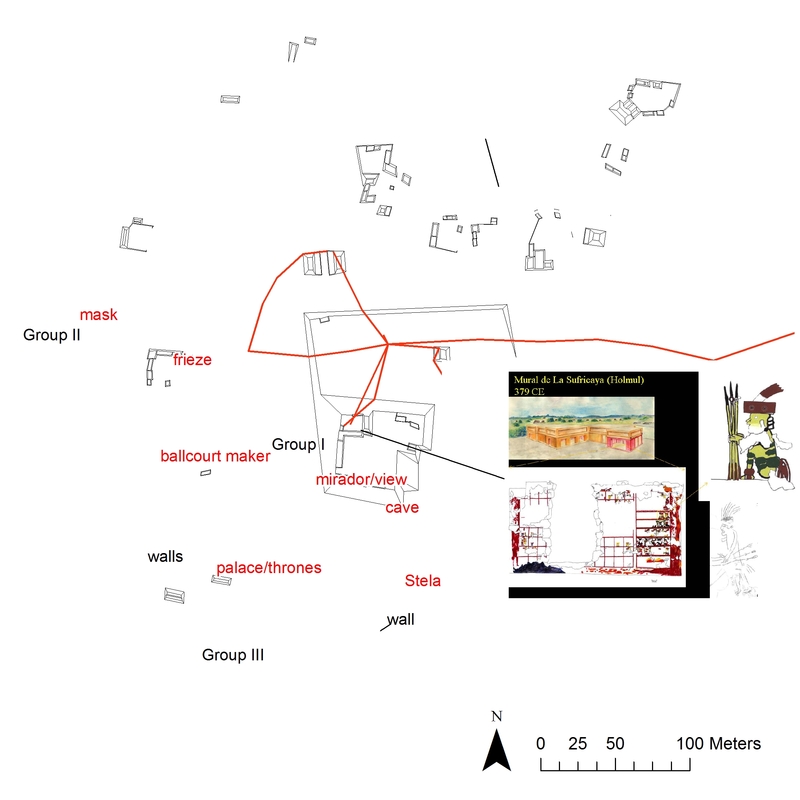 At the foundation of the complex lies the earliest occupation level of the site from 1000 BCE. Several earlier pyramids also lie completely buried by later ones therein. Building B as its stands today was built around the beginning of the Christian Era (150 CE) and may be the oldest standing Maya temple today. Within the core of the pyramid is the buried earlier version of it. Entering a tunnel in the west side (get a caretaker to let you in) you will be able to see the masks of the Lord of the Underworld that decorated its facade (350 BCE). 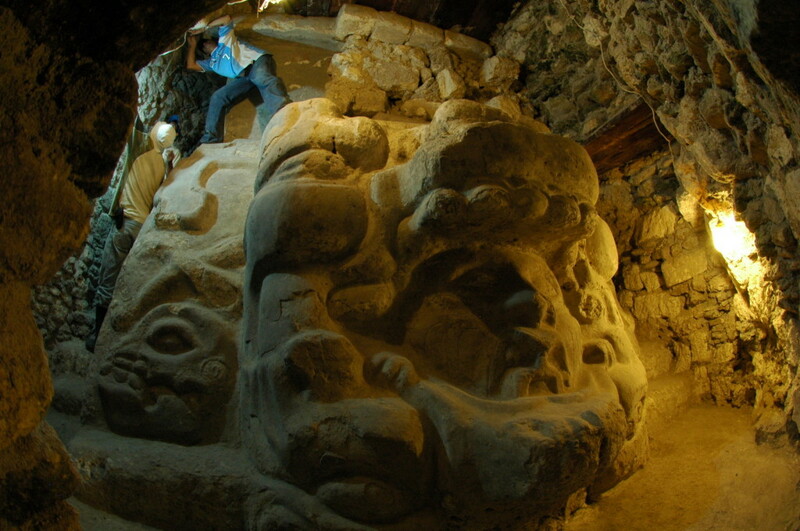 This sculpture is the earliest so far documented in the Maya Lowlands. Building A is a standing structure whose interior walls and vaults are painted black, which has earned it thenickname “Puerta Negra” with the local workmen. 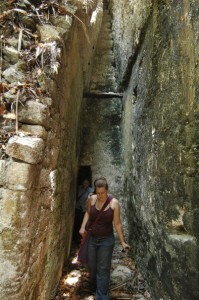 The doorway leads to a tomb, which was found empty by early explorers. It is believed that the burial was never completed. 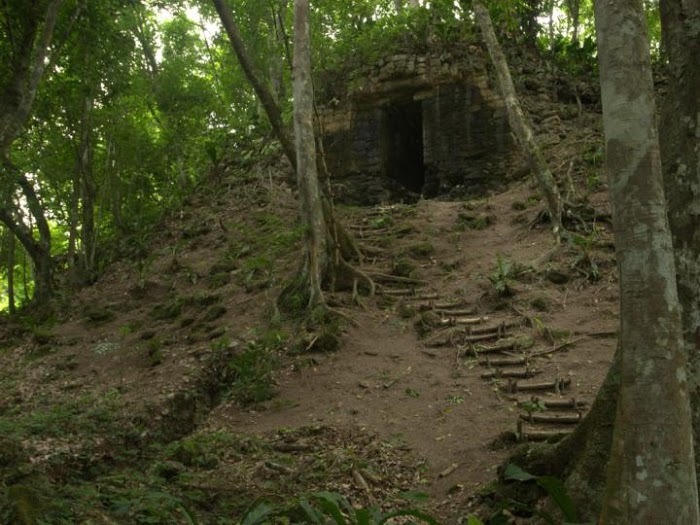 In spite of multiple tunnels excavated by looters in this structure over the years, just a few feet below this tomb, lies Holmul’s greatest monument. The Holmul Frieze (ca. 600 CE), which came to light in the summer of 2013. Its inscription tells us that Holmul was an ally of the Kaan kingdom at the time and fills an important lacuna in Maya history in the middle of the beginning of the Tikal/Kaan kingdoms confrontation. This is a 9 minute tv report done in 2010 by Noticiero Guatevision. It shows some of the things you will see at Holmul and Cival and how to get there. 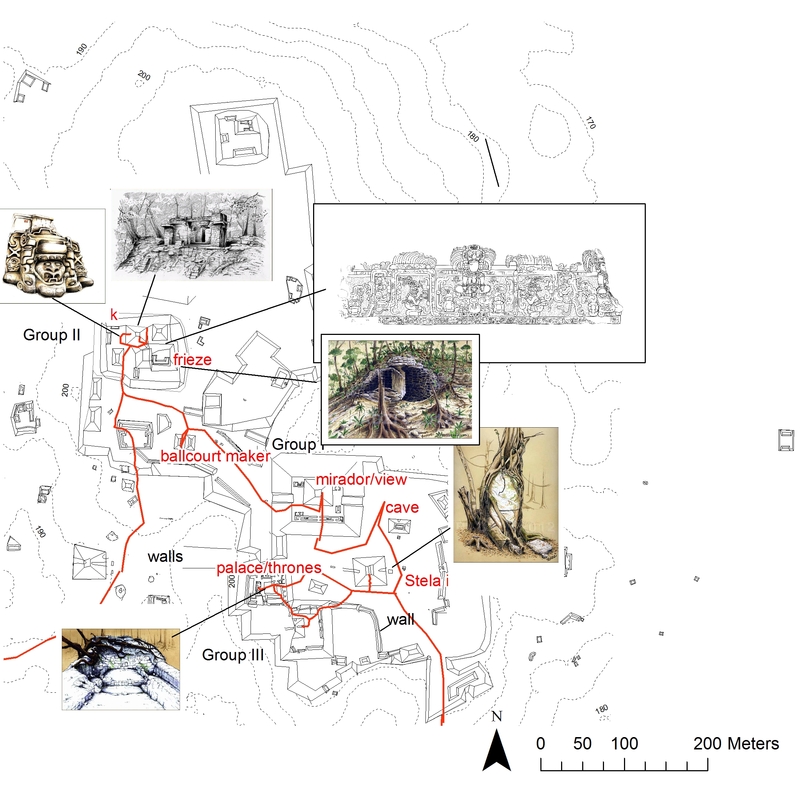 More information on ongoing research at Holmul can be found here. To make a tax deductible donation to support research and preservation at the site please visit the Maya Archaeology Initiative website.